The BBC is today announcing the sale and sublet of its Media Village site in west London, which will now be known as White City Place, as part of ongoing plans to dramatically reduce the size and cost of BBC buildings. This will mean the corporation’s property footprint is now reduced by around 40 per cent since 1998 – a significant achievement within the public sector. Under the commercial terms agreed with Stanhope and Mitsui Fudosan UK Ltd (‘Mitsui Fudosan’), the BBC will receive £87 million for the sale of four acres of freehold land and the lease of six buildings, three of which will continue to be occupied by the BBC. The BBC will make £33 million of annual running cost savings. 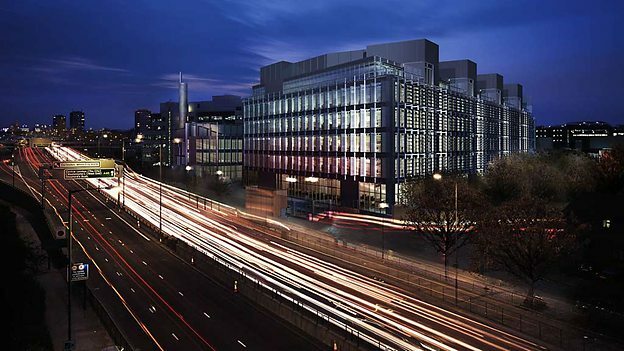 The three buildings being vacated by the BBC – White City One, Media Centre and Garden House – will be fully refurbished and brought back to the market from late 2016. The buildings will provide a range of types and sizes of tenancies totalling c. 600,000 sq ft. As part of the wider regeneration of the area, this will deliver a thriving and lively urban business environment which will be attractive to a wide range of creative industries. Today’s announcement is the latest in a series of property moves that mean the BBC is on course to save in excess of £75 million a year on property costs by 2017 – an increase of £19 million from original targets. Property is a key strand of the BBC’s efficiency plan, which will save £1.5 billion a year by 2017, meaning even more of the licence fee can be directed into programmes and services for viewers. The BBC has upgraded to a smaller and more modern property estate that is fit for 24-hour broadcast in a digital age without increasing costs. This has also increased the number of BBC staff now based outside of the capital to 54 per cent. Anne Bulford, Managing Director of BBC Finance and Operation, says: “The BBC is determined to work out of the minimum number of buildings possible whilst still representing the audience it serves. David Camp, Chief Executive of Stanhope Plc, says: “White City Place will become the commercial heart to White City. Together with Television Centre, we will be delivering close to 2 million sq ft of office space and nearly 1,000 new homes over the next five years.